How do I get MoneyWiz 3? MoneyWiz for iPhone, iPad and Android were redesigned from scratch to allow for a more logical and faster navigation. The menu on left was replaced with bottom bar navigation and the entire interface of the app is now new as well. Since we had to get rid of the side menu as a form of navigation and replace it with a bottom bar navigation, we also had to remove the previous bottom bar where MoneyWiz used to display your balance. That is now shown in the top bar. And switching your balance & transactions between cleared & pending was also moved to the top bar via the 3 buttons - Cleared, Pending and Forecast. Toggling between these 3 states allows you to quickly filter out transactions by state, which also reflects the balance. And the newly added option - Forecast allow you to see the next 30 days worth of scheduled transactions for each individual account, so you can see how the account balance would be affected in the near future. MoneyWiz for macOS and Windows got their sidebar redesigned to allow for easier navigation while providing more space for your own data such as list of accounts and budgets. The top bar was also redesigned to accommodate the new filters feature, where you can quickly filter transactions by state - cleared, pending or forecasted. MoneyWiz 3 adds support for crypto currencies and forex accounts. Among the new features are the ability to add any crypto/fiat currency, even altcoins and unlisted coints. You can also sync with some of the popular exchanges or manage your portfolio and trades manually. Native support for transferring of holdings between accounts as well as exchanging one currency for another. On top of the existing forecasting functionality that MoneyWiz has, you can now see forecasted transactions per account and see how they’ll affect your account balance as well as the running balance. Just tap on the Forecast option in the top bar and forecasted transactions will show up on top of all other transactions. Forecasted transactions are marked with a small grey dot in their icon. Transactions are now automatically grouped by their state and sorted by date (newest on top). This allows you to see the natural flow of your transactions low. Forecasted transactions are indicated by a small grey dot in the bottom right corner of their icon. Pending transactions are indicated by a small red dot in the bottom right corner of their icon. Tap their icon to set them as cleared. Cleared transactions don’t have any extra attributes in the icon. If you tap the icon of a cleared transaction it becomes pending. MoneyWiz 3 adds the ability to see all transactions from accounts in a specific group by just clicking the “eye” icon of the group. Also if the group is made up of investment or forex/crypto accounts only, you’d see a nice aggregated view of your entire portfolio for that group as well as all trades that make it up. Configure automatic capitalization of text fields in transaction entry. Choose between disabling capitalization, first letter capitalization or every word capitalization. Choose icon style for categories - red/green (the way it has been until MoneyWiz 3.1) or colorful. If you choose colorful, your categories will automatically get a random color assigned and you can choose your own color for each category after that via Settings / Categories. Have several SYNCbits accounts? MoneyWiz 3 has you covered. You can add multiple SYNCbits accounts and quickly switch between them without entering your password every time. It's a great way to manage personal and business finances separately for example. MoneyWiz 3 brings a beautiful new icon. 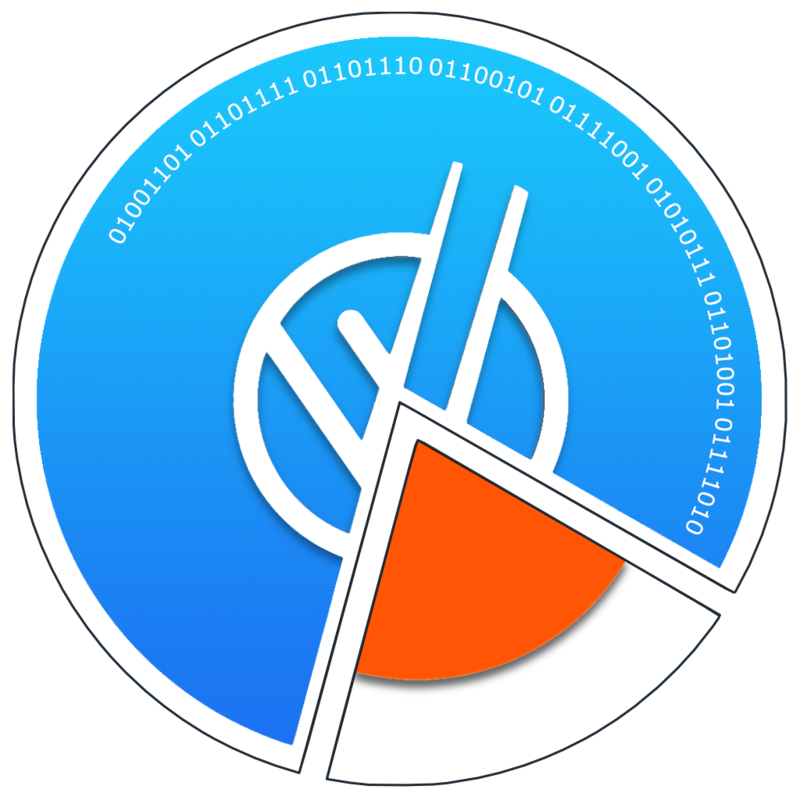 Can you guess what’s the coded binary text in the icon? MoneyWiz 3 brings tons of performance improvements. The end result is that it’s twice as fast compared to MoneyWiz 2! MoneyWiz 3 now brings backup functionality to all platforms, including iOS. To make a local backup of your database on iOS or Android just go to Settings / Database and save your database somewhere safe. On macOS and Windows PC you can go to Settings / Backup. The Apple Watch app has been updated to meet the latest requirements from Apple. It's performance was also greatly improved. We've also redesigned categories selection so now the Apple Watch app would show all of your categories, not just the first 9. Notice: In 2019 we'll introduce a brand new, completely redesigned Apple Watch app as a free update for MoneyWiz 3 customers. We've made tons of improvements throughout MoneyWiz on all platforms. We've fixed many bugs (detailed logs can be found in our support portal as part of the release notes in each particular update). We've also added improvements that are otherwise not listed elsewhere, such as we've replaced the web view used in MoneyWiz for Windows, with a brand new one, which allows us to show the reports and online banking authentication screens with proper scale, and a lot of other similar improvements. Work on MoneyWiz 3 is far from over! Here is what else to expect from MoneyWiz 3 in 2019.
great work so far. Thank you! I'm really looking forward for background sync and configurable transaction swipe left/right actions. This is something I wished myself for a very long time. But I'm missing one feature on the "Coming soon" list: What's about improved budget management and true envelope budgeting? This is something you promised several time, first for MoneyWiz 2, then for version 3, but now I can not find it on this list. The same goes for goals feature. This was promised for version 3 too. :( Can you and the team please rethink your roadmap and give improved budgets much more priority? This is really needed and budgets are in my opinion the most important feature of MoneyWiz. MoneyWiz should make it easy manage my budgets so that my finances are in control.